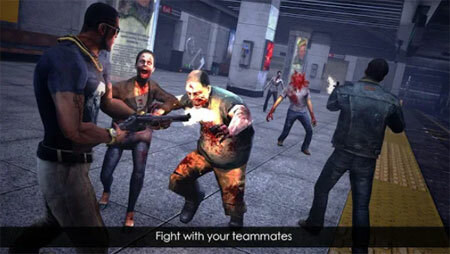 Death Invasion: Survival is a unique action game developed by GunBattle&ZombieShooters Games Inc. This is a small town occupied by Death. You will be infected by zombies easily if you continue staying here. What you need to do is replenish your bullets in time and never stop shooting. To survive, food, killer weapons, fuel and generator are indispensable. However, these essential resources are often left in dangerous places. You need to offer fire support for your teammates so that they have enough time to open the door. Otherwise, you will be surrounded by cluster of zombies. Arm yourself and improve your combat power. The helmet can help you reduce the damage you take when you are accidentally bitten by a zombie. The backpack allows you to collect more items to survive in the journey away from the horrible town. Hard gloves can make your fists more aggressive. Use your fists to repel the zombies and defeat the ugly zombies BOSS. The zombies have been infected not long ago. There are many useful items on their bodies. These things often determine how longer you can survive. If you get stuck in the game, check out the video walkthrough and gameplay for the game. This entry was posted in Android Games, iOS Games, Mobile Games, Walkthrough and tagged Death Invasion: Survival Cheats, Death Invasion: Survival Game, Death Invasion: Survival Gameplay, Death Invasion: Survival Guide, Death Invasion: Survival Hints, Death Invasion: Survival Review, Death Invasion: Survival Solutions, Death Invasion: Survival Strategy, Death Invasion: Survival Tips, Death Invasion: Survival Walkthrough by Marvin. Bookmark the permalink.